Baltimore Gets On-Demand Ride Alternative to Uber, Lyft. Baltimore residents who prefer to hail a ride with a mobile app now have an alternative to Uber or Lyft: zTrip. Transdev, the company that owns Yellow Checker Cab of Baltimore, launched the app yesterday for iOS and Android, Technical.ly Baltimore reported. The app is already being used for cabs in Kansas City and Denver, and will soon be available in as many as 18 U.S. cities. zTrip is among a lineup of ride-hailing apps released by local governments or taxi companies to help traditional yellow cabs compete with the likes of Uber. Cities including San Francisco, Chicago and Los Angeles have all launched ride-hailing apps. When Washington, D.C., launched its app last year, the city mandated that every cab have the new app turned on while on duty. Operating similar to other popular ride-hailing apps, zTrip has a sleek interface that lets users see nearby drivers and request a taxi or black car. It also has a driver rating system and allows riders to pay and tip with a credit card through the app (although cash is also still accepted). There are a couple key differences, however, that riders may find appealing: no surge pricing and the ability to book a ride in advance. The apps will also soon have a button riders can hit to request ADA compliance. Accessibility has been an issue for Uber and Lyft in the past. In summer 2014, three mobility-impaired plaintiffs from Texas claimed that Uber and Lyft violated the Americans With Disabilities Act by failing to provide a way for wheelchair users to take advantage of their services. Austin Yellow Cab gets new app to hail a ride. Yellow Cab Austin, its business battered by new competition from ridesharing companies, is adding a new app to hail cabs — and it strays from the term “cab” in this rideshare-loving environment. The company announced Thursday that it will begin using the ZTrip app for passengers to book rides. Yellow Cab already has an app, Hail-a-Cab, that does this. In a statement announcing the launch of the company’s ZTrip app, the company said it would keep Hail-a-Cab operational while trying to transition customers to the new app. 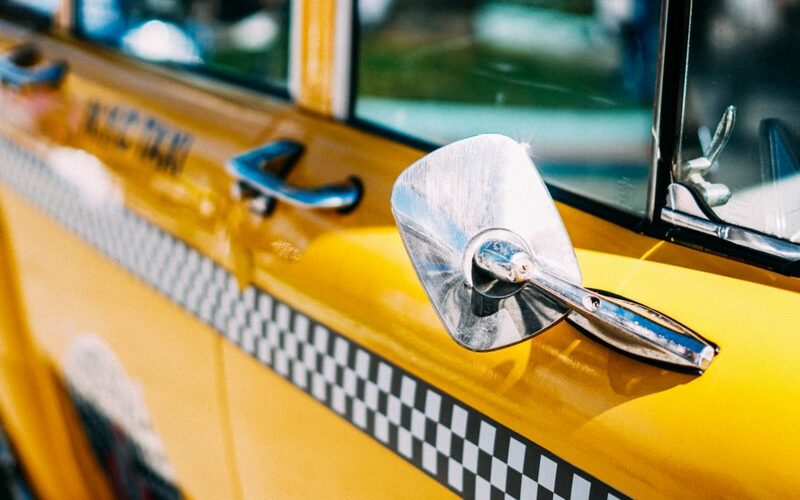 The new Yellow Cab ZTrip service has been in development for months, according to John Bouloubasis, president of Texas Taxi Inc., the parent company of Yellow Cab Austin and other Texas Yellow Cab franchises in San Antonio, Houston, Galveston and Pasadena. ZTrip, as an app, has already been operating in Austin since March. That’s because ZTrip is not its own ridesharing or taxi service. Rather, it is a mobile software platform developed by Paris-based TransDev International that traditional for-hire ground transportation services contract with to add app-based ride-hailing services to their offerings. ZTrip has already partnered with local taxi companies in Pittsburgh, Kansas City, Baltimore, Orlando, Tampa, Denver and Phoenix. In Pittsburgh, Yellow Cab announced it’s going so far as to change its name from Yellow Cab of Pittsburgh to ZTrip Taxi. In March, ZTrip’s app launched in Austin in partnership with the owner of the local ExecuCar and SuperShuttle franchises. That company obtained a transportation network company operating authority, the legal instrument that allows Uber-style ridesharing services in the city, from the city of Austin. Despite obtaining this authority, the ExecuCar/SuperShuttle and ZTrip partnership operates more like a traditional taxicab company, with fully-liveried company cars ferrying fares from A to B. But Yellow Cab will not be applying for a TNC operating authority, according to Bouloubasis. Rather, the ZTrip app will just be another way a user can hail a cab. Bouloubasis said the company plans to add ZTrip booking to its subsidiaries in San Antonio, Houston, Galveston and Pasadena. What’s This Local Ride-Hailing Company zTrip? Austin is facing its first weekend in more than two years without Uber or Lyft. Both companies pulled out Monday to protest voter rejection of Proposition 1, which would have eliminated mandatory fingerprint-based background checks. Opponents of Prop 1 responded to Uber and Lyft’s threat to leave by arguing that if there is money to be made on ride-hailing in Austin, other companies will replace them. The city’s taxis are not able to meet demand during peak hours and special events, according to one study, but anyone who’s tried to call a cab on a Saturday night prior to the arrival of Uber and Lyft could tell you that. Three transportation network companies are now operating in Austin. Wingz is only driving people to and from the airport, for now. GetMe says it’s bringing on more drivers, but will not be able to meet demand the first weekend since Uber and Lyft left. The third ride-hailing company in Austin has not received as much attention. The app zTrip (not to be confused with the DJ and producer Z-Trip) was developed by the transportation company Transdev. Outside of Austin, it offers its range of services in Kansas City, Denver, Boulder, Pittsburgh, Baltimore, Minneapolis and Orlando. Unlike Uber and Lyft, zTrip does not hire people to drive their own vehicles. Instead, it allows you to hail or schedule a taxi, limousine, black car service and in the case of Austin, large-capacity shuttle vans. Like Uber and Lyft, you see the vehicle approaching in the app, and you can pay with your smartphone. 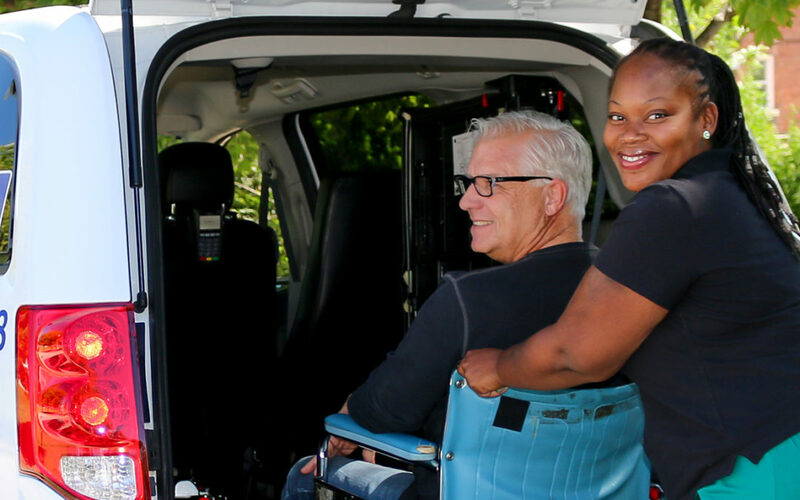 The company has only 140 vehicles accessible through zTrip in Austin. Its president, Bill George, says that number will grow quickly, but only by the hundreds, not the thousands of vehicles estimated to have been available through Uber and Lyft. However, George says zTrip is committed to complying with all local regulations, including fingerprint-based background checks. We spoke to George and asked him some questions about zTrip. It seems like you are trying to bridge the gap between taxis and transportation network companies? Absolutely, and that’s really what defines us and sets us apart from the other TNCs. We bring you all the convenience of a taxicab, where you can just hop in and choose to pay the driver through a credit card or cash in the car, or you can certainly use the app [to pay]. Where we really set ourselves apart, too, is that we do not surge price, and we also allow you the opportunity to hail a car right now, but you can also order one in advance. Without surge pricing, how do you incentivize drivers to work downtown during times of peak demand, which are typically Friday and Saturday nights, when many of their potential customers could be drunk and possibly unpleasant to deal with? Philosophically, I’ve always had a problem with surge pricing. In some cases, it will get a few drivers more on the road, but what it’s really designed to do is manage demand. My whole career has been spent trying to convince you to leave your keys at home and let us take you some place and bring you home. If it costs you $15 to get someplace, I don’t think it should cost you $45 to get back home. Our per-mile rate on a daily basis is a little bit higher than the TNCs, but the rate is the rate. It’s not a good situation when you have drivers living for the surge. That’s what creates unsafe situations. Drivers are very smart and learn how to game the system, and customers become smart. All the sudden they put their [pickup location] in for a block away where there is no surge, and they tell their driver to come and meet them. Up front, transparent pricing, I think, is a better model. But none of Austin’s 915 taxis is available on the app. We started 10-10 Taxi in Round Rock about two years ago, and we’ve got 70 or 80 cars up there that are involved in that. When the TNC regulations came out, we filed for a TNC permit in Austin. Previously, because we were only based in Round Rock, we could only pick up trips in Round Rock. With our TNC permit, we’re now able to pick up within the [Austin] city limits. In addition to our super shuttle and executive car businesses down there [in Austin], we have over 140 vehicles. We are on the verge of making a major announcement of adding another 500 vehicles on within the next three weeks. In addition, we’ve got other drivers that we’re adding. Since the news of Saturday’s election broke, I think we’ve had about 600 driver applications come in online. When do you intend to announce the news of the additional 500 vehicles? We think we’re going to have an announcement next week. We are coming up on the first weekend in more than two years with no Uber or Lyft in Austin. Will you be able to meet demand? No. It’s going to be a ramp-up period. To say that we can get all those vehicles replaced in that quick of a time is not feasible. We know that we’re adding daily, and we’ll continue to do so. We’re working to do it in a measured way to make sure that the drivers we’re bringing on board meet our standards and are in compliance with what the city’s mandated. I think it’s conservatively an 8- to 10-week ramp-up. Have you experienced an increase in consumer demand since Uber and Lyft pulled out of Austin on Monday? Absolutely. Since word came out officially on Sunday and with the pullout on Monday, we’ve seen a tremendous jump in our volume. That’s why we’re working to get other partnerships involved so we can solve the demand issues. Copyright 2016 KUT-FM. To see more, visit KUT-FM. Jamie Campolongo talks zTrip and the transportation service of the future. Late last month, Yellow Cab of Pittsburgh hosted a press conference to publicly announce its transformation into the innovative app-based transportation service zTrip Taxi. The announcement finalized the company’s aggressive $5 million rebranding campaign, which was initiated in order to compete with the ride-share startups Uber and Lyft. Among the new offerings are a crop of new drivers, an upscale black car service and a fleet of new and existing vehicles emblazoned with the zTrip logo. zTrip president Jamie Campolongo reflects on the decision to retire Yellow Cab and the next steps the company will soon take. It’s been a few weeks since Yellow Cab officially announced it would become zTrip Taxi. How has the transition been so far? We’re pleased with where we are with it. We’re 150 cars into this whole new rebrand. We should be done with all the cars, either purchasing new cars or painting our late model cars, by September. The app is working great. The counts aren’t crazy, but we see 11 or 12 calls a day moving over to the app side of the business, so we think we made the right decision going more app-based. What prompted the shift from Yellow Cab, which has been around for a long time, to zTrip? Yellow [Cab] is 103 years old and it served the city for a long time. We knew that the business model and the industry was changing. With Uber and Lyft coming into the marketplace, it changed not so much the business as the culture of the customer, and we knew that our old style of the telephone-based cab company wasn’t going to cut it. Not that we’re going to give up on traditional service. When you spend $5 million bucks, and you’re going to buy new cars and all this, then let’s just get on with it. Let’s get better cars, more fuel-efficient cars. Let’s go more app-based. Pittsburgh didn’t need a new fleet, it really just needed a new company. You have a new fleet of cars, but drivers are also able to use their own cars to provide rides. Are they working in tandem? The cab company of the future is a hybrid model. If you want to keep the traditional business, you’re going to have to do a product like [zTrip’s ride sharing app] Yellow Z, where you have personal cars. Legislation just went through, and the governor signed it last week, so we’ll be able to get people to buy into the taxi company and then we’ll have our own cars. It’s going to be different than what we’ve seen going forward. How are you trying to compete with ride services like Uber or Lyft? We don’t do surge pricing. We accept cash and credit. We have a now or later option that lets you book up to 365 days in advance. And we’re local. What the focus groups told us was we want authentic Pittsburgh but we want you to be as good as everybody else. And that’s our challenge. If we give a Pittsburgher the same level of service [as Lyft or Uber] and we don’t surge them, then they’ll come to us. We have customers already so we don’t have to go out and do customer acquisition. What we have to do is listen to our customers and give them what they asked for. What has been the biggest challenge introducing this to the public? For us, actually embracing the culture change all the way through the company has probably been the biggest challenge. There will be a lot of advertising that’s been held off just to make sure that we got through these first three weeks. Next week, you’ll see a lot of advertising and social media try and get us past the next challenge, which is people walking out and going, “Is that a cab?” Because it kind of looks like the Red Bull car. Checker Cab in Jacksonville replaced by zTrip ride hailing service. A new ride-hailing service in Jacksonville is leading to the renaming of two old standbys in the transportation world: Yellow Checker and Gator cab companies of Jacksonville will officially be called zTrip as of Tuesday. The company zTrip is similar to other personal transportation services such as Uber and Lyft in that a mobile phone application is used to hail a ride, but the vehicles can also be hailed on the street by riders in the traditional fashion of waving down a taxi. Already present in several cities, zTrip will not only be offering the mobile app service, but Checker and Gator cabs in Jacksonville will be changing their names to follow the zTrip branding. That means the traditional Checker and Gator cab vehicles familiar with riders will go from the yellow and checked motif to silver paint with the zTrip logo which has a red “z” and black lettering for the “Trip” part of the logo, said Bill George, president of Transdev On Demand, owner of zTrip, Gator Cab and Checker Cab. “We started the zTrip app about five years ago. … It’s more than just a paint job. It’s complete use of technology,” George said. The app is fully integrated into taxi cellphone dispatching systems, he said. Boulder, Colo., Pittsburgh, Pa., and Kansas City, Mo. and Kansas, have already had Yellow Cab service converted. The zTrip cars will still be considered taxicabs, but the company will also offer unmarked cars, which are more standard in Uber and Lyft services. “They have all the capabilities of a cab; you can still hop into one. We offer flexibility of payment; you can pay the driver in cash or credit card or through the app,” George said. Uber is paid automatically through the smartphone application. “We also allow you to book us now or book us later,” George said. Uber is virtually on-demand and comes immediately when hailed. George said riders can reserve a zTrip ride several hours in advance. Another feature of Uber and Lyft services is that they normally have lower fares. But George said the zTrip service is different from Uber or Lyft because zTrip does not do “surge pricing,” which increases fares during peak times of use. “On a basis when they’re not surging, they [Uber and Lyft] can be cheaper. On the average trip, they might be a dollar or two cheaper, but when they surge they’re more expensive,” George said. George said zTrip realizes there is still brand identity with the traditional taxis, so not all of them will disappear. George said with the transition of the company and services added in with the fleet conversion and marketing, the project is costing the company $2.8 million. “It’s a tremendous undertaking, but one that we get very positive results” in the cities that have already undergone the conversion, George said. The alternative ride-hailing services have met with some controversy in many cities, including Jacksonville. Jacksonville has failed to force Uber and Lyft and their drivers to follow the same regulations required of taxi drivers, which include vehicle inspections, background checks of drivers, and annual licensing fees. The city had demanded that the companies stop their operations, and issued a limited number of citations to the companies and their drivers. Uber and Lyft officials maintain that they perform their own background checks. Despite those efforts, Jacksonville city officials said that they, along with other cities in the state, are looking to the Florida Legislature to settle the issue with an umbrella state law. But no such measures have been implemented. George said the zTrip drivers are licensed professionals who receive background checks that include fingerprinting. An email sent to Uber seeking comment was not returned Monday. zTrip purchases Omaha cab companies, combining traditional car service with app-based booking. Refusing to fight Lyft and Uber, Pittsburgh’s zTrip carves out market. A Baltimore taxi company now has a ride-hailing app. Most Kansas City taxis to operate like Uber and Lyft in wake of new state law. © 2018 zTrip. All Rights Reserved.